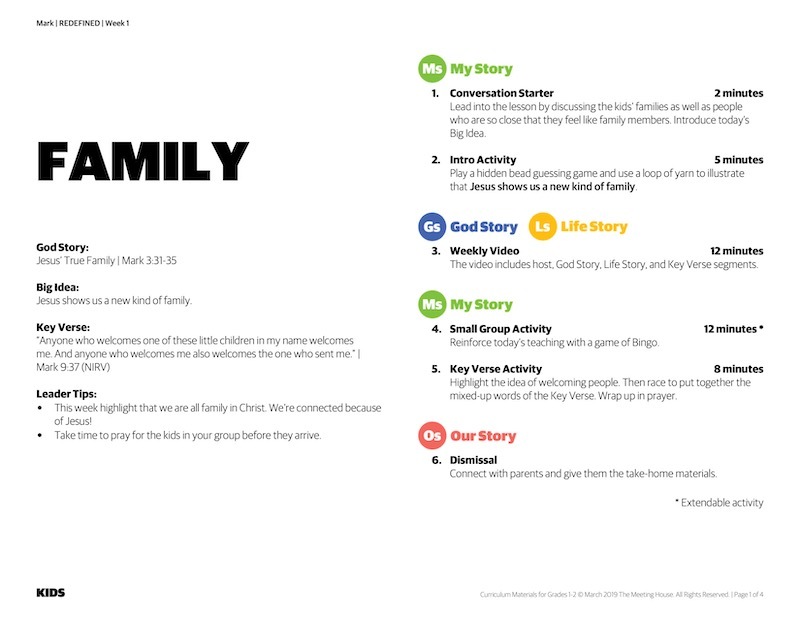 In this series, kids will discover that Jesus redefines family, introduces us to God’s kingdom, and helps us see things that we would never see on our own. Kids will learn that Jesus sees us through our struggles and that he makes all of the difference in our lives. > To download supporting documents like lesson plans, activity pages, and more, click on the documents download at the top of the page.